Pssst...I'm FREE! Catch me at the bottom! 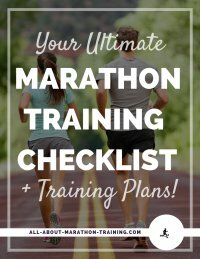 So you are training to run a marathon or even a half or an ultra marathon. You feel a little daunted by the distance. You wonder if you will even be able to finish. That last training run was hard enough. You're not sure you are covering all of your bases in training for such a huge accomplishment. Are you missing something? You have heard people saying that the marathon is 20% physical and 80% mental. You have heard that the first 20 miles of the race are easy it’s the last 6 that are the hardest. You have heard elite athletes working through their thoughts and emotions when gearing up for a big race. You were never really sure if that was for you though. You just want to run this race and be successful doing it. Well Mental Training IS for you. It blows my mind how many people neglect to implement any kind mental training into there training programs. The mind-body relationship is no joke. It is for real. The mind actually dictates your body, how you feel, what you can accomplish. Runners who don't think out their mental strategy for the race are leaving a huge chunk of potential on the table. But why? Having a mental strategy going into the race will only do you good...and it wont even be a huge time investment. But how? What kinds of mental strategies should you be brainstorming? So that's why I developed this FREE ChampTalk Workbook. To get at the heart of who you are so that you can create your own solid, personal mental strategies to use on race day. What's in it for you, you say? This is not something that you will read through and think, "Hey, maybe I should think about this and implement it." and then never actually do. 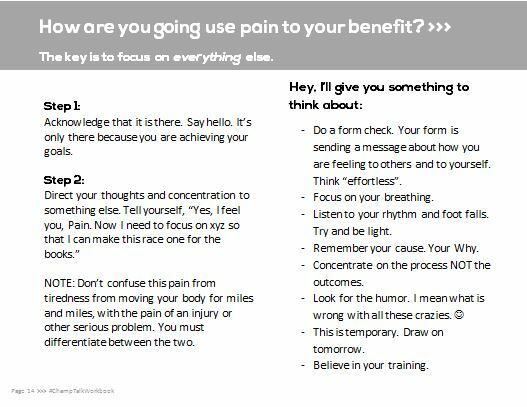 No, you will be printing it off (or editing it from the screen or even just taking notes in your notebook or running log) and filling out the questions, the prompts, and discovering what works best for you. Like I said, this workbook can take as long as you want or as little time as you want it. Maybe you will just want it as a general guide in developing your own strategies. Maybe you will want to take everything to heart. It could totally take you less than an hour to complete and have a mental training strategy under your belt. Or if you are a perfectionist, this might be something that you are constantly updating and reviewing. 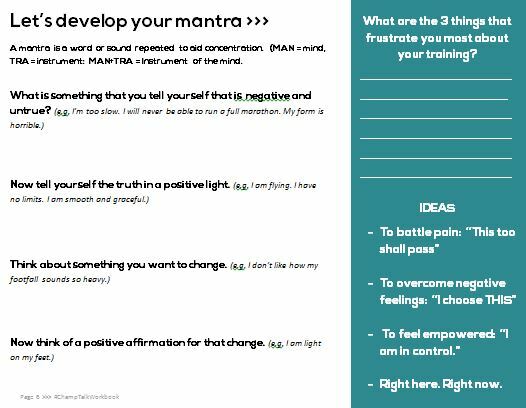 It's even something that you could print out for each race (something I recommend since it is very race specific) so that your mental tactics stay fresh in your mind and can morph and change as your running does. Best of all though, it really, truly, is going to help you grow. To know yourself better, to be a better runner. And we all know that knowing ourselves is huge when it comes to leading a resourceful life. So hey, pop in your email and this workbook will be sent to you immediately upon confirmation. This mental training stuff IS important. It IS necessary for long distance running. And because I want you to be epic in your running and in life! 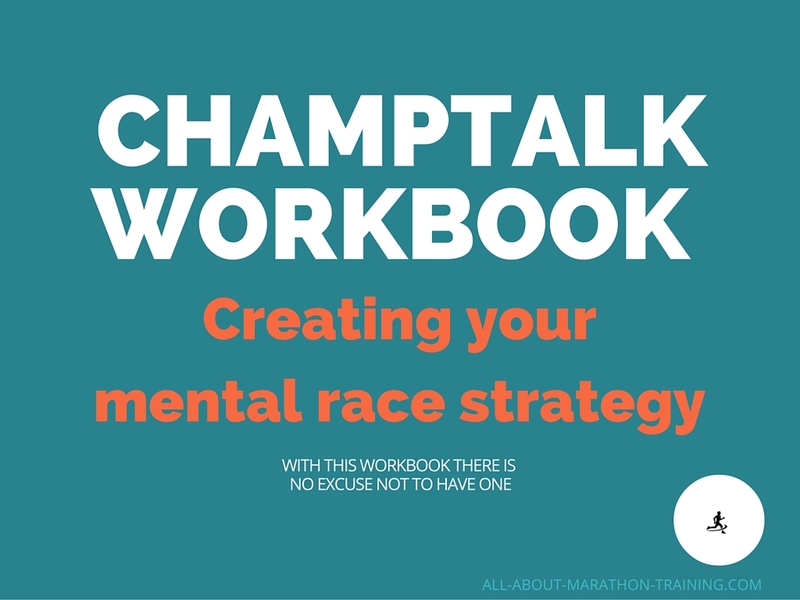 Where should I send your ChampTalk workbook?